A couple of weeks ago I had my first article published in the Anderson Independent Mail. It is an honor for me to get to be a part of the Faith and Values board for our local paper. I have the privilege of writing several articles this year to share with our community. I also wanted to share the article with those of you not located in the Anderson community. I have nothing but random thoughts this week because there has been so much going on. My son, Peyton, (who is 4 1/2 years old) lost his first tooth last week. It was something that we knew was coming for a while. His tooth started to get loose about a month ago and every day we would look at it and see if it was ready to come out. Then when we were putting him to bed one night last week, we noticed it was just about ready and Suzanne asked him if he wanted us to pull it out. At first he was scared. Scared it would hurt and scared it would bleed. We told him not to worry, that it wouldn’t hurt and that if it bled, it would just be for a second. Today is my first day back at work after the holidays. We had a wonderful Christmas and I got to spend a lot of time with my family. My favorite moment from the past couple of weeks came a couple days ago. I was getting Peyton and Lauren ready so we could play together outside. Peyton went outside before Lauren and I and started riding his bike. about 30 seconds later I heard Peyton let out the most horrible scream ever. I ran outside as quick as I could and he was standing in the garage screaming and crying his eyes out. I asked him what was wrong and all he did was scream and point. I looked to where he was pointing and saw a twitching, dying mouse. 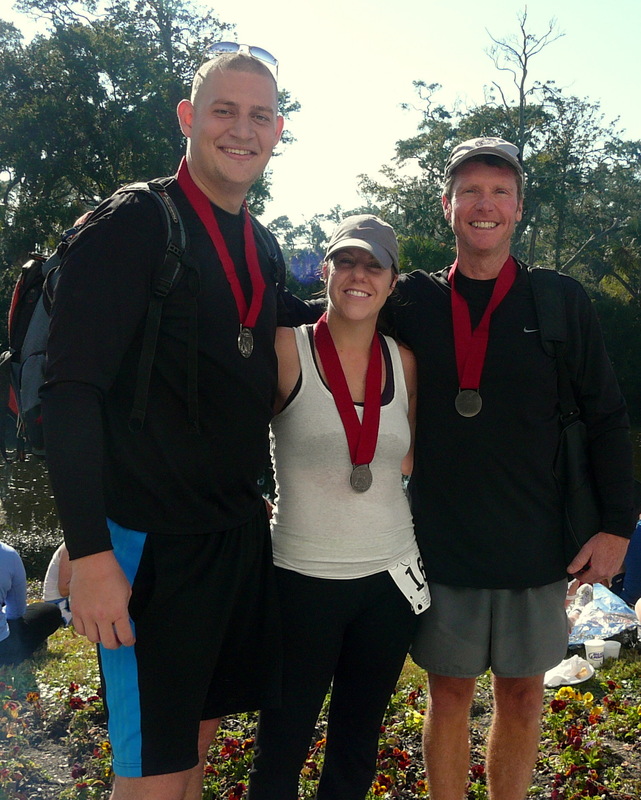 Yesterday, Suzanne and I ran the half-marathon at Kiawah together. It was her first long distance race. I am so proud of her! She has been training hard since this summer for the race and was so excited about running this weekend. 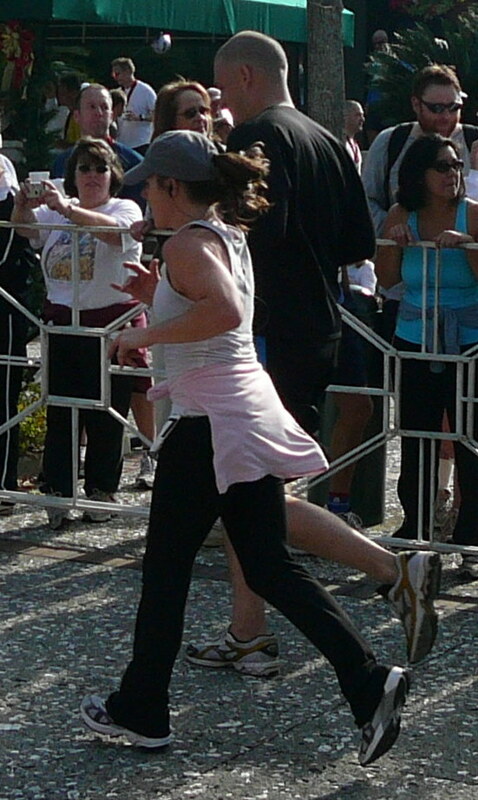 I am proud that she finished the race, but I was amazed at her determination yesterday also. She hurt her knee during the race at mile 2 and continued to run through the pain and finish the 13.1 miles (She is a lot tougher than I am). It was a great experience and a great weekend together. Another highlight of the weekend was getting to hang out with our good friends Mark and Inez Greenway. Mark ran the race yesterday too. Here is a picture of all of us after the race. Posted in Personal | Comments Off on Running the Race! I drove to the beach thursday after work to meet my family who had been on vacation last week. I was so excited to see Suzanne and the kids after being gone from them for a week, but I was really anticipating what was going to happen the next day at the beach.